Riveriver Vol. 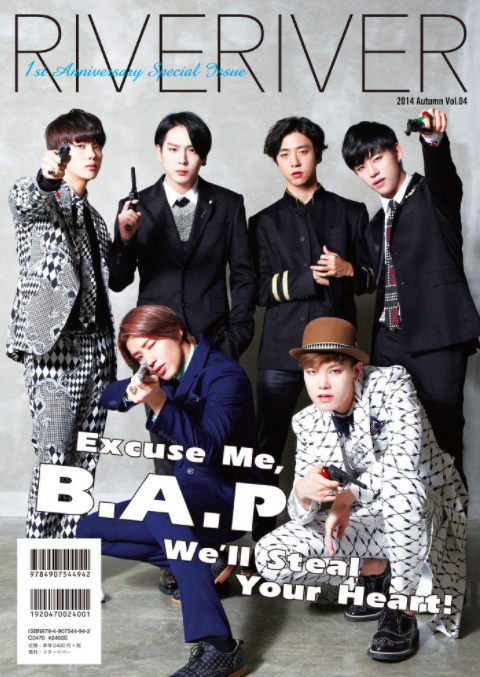 4 Speical 1 year Anniversary issue released September 30 has 2 covers, B.A.P is on the back cover of the B version with a 12 page feature inside. It’s a B4 size magazine so it’s quite large. 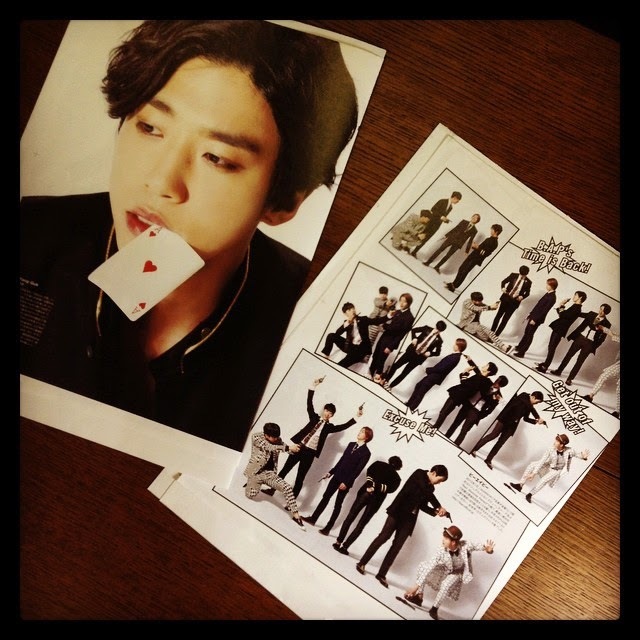 It will be available from Tower Records stores in Japan for around 2592 yen. Pulling off a magnificent comeback with their 4th single “Excuse Me”, the six who heat up the world are here to shoot at your heart! With their one year Japanese debut anniversary coming up, they’ve released their 4th Japanese single “Excuse Me”. Breaking through previous notions with an individual style and strong performance, as well as a final goal of “conquering the world with music”, they are a sometimes-hot-sometimes-cold-to-their-fans six people who’ve flown out from Korea to Japan, China, America, Europe and other places around the world. 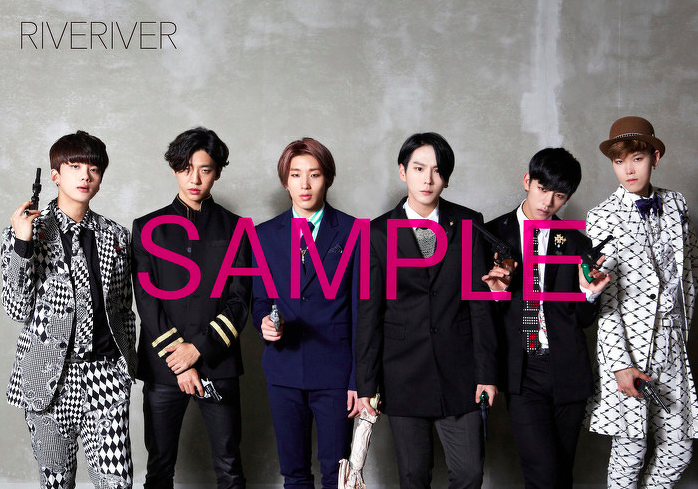 To the members who appeared at the studio with a chic suits style, they replied with a soft “yes” when we asked them to briefly explain this time’s concept and presented each of themselves in front of the camera with the James Bond image they thought of. When we said “photoshoot, start”, each of them posed lively, shot after shot without hesitation in front of the camera. They just looked so cool that I unconsciously made an “oh~! !” sound. — Today’s photoshoot concept was “007”. Smart, capable in his work and popular with the girls; that sort of image. How was it? DH: It’s different to the image that we’ve shown up till now, I think that we can show a new side to us. 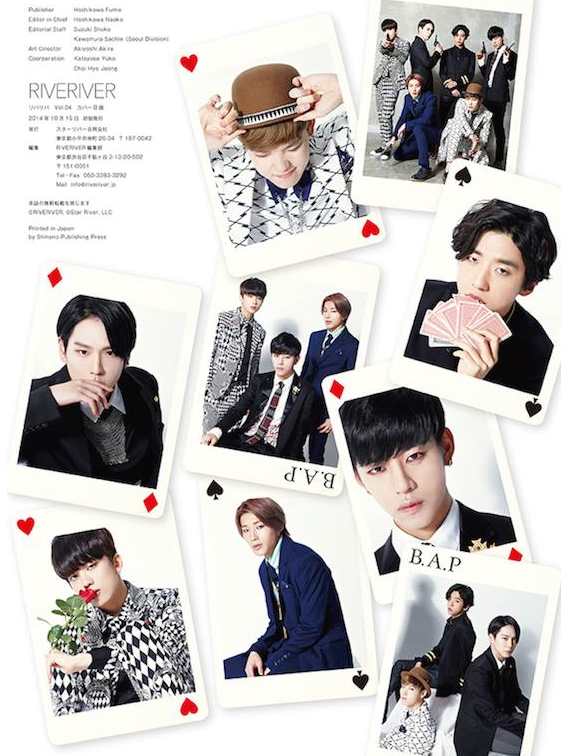 All of the members looks good, but personally I think Yongguk hyung and Youngjae suited [the concept]. The two share the charms of “intellectuality” and “spontaneity”. — The 4th single “Excuse Me” that you released in Japan has gotten quite some attention. “Excuse Me” was included in your 3rd mini album “Badman”, and was comparable in popularity to the title track. HC: Previously, we’ve showed the Korean version on Japanese stages, and the response from Japanese fans then was great, so we decided to see how it’ll be to release a Japanese version this time. YJ: This song is very spontaneous. It has lyrics overflowing with confidence and has a good flow to it, so I think it’ll brighten up your mood when you listen to it. — It’s the perfect song for a live isn’t it? ZL: That’s right. “Excuse Me” was a song composed so that we could have fun together. I think the fans can easily sing along because the melody isn’t complicated. To combat that, “Zero” has a decadent image. Whilst getting into the world of the lyrics, we put our heart into it when we sing it. — You’re reaching your one year Japanese debut anniversary soon. Were there any changes in your mental state? 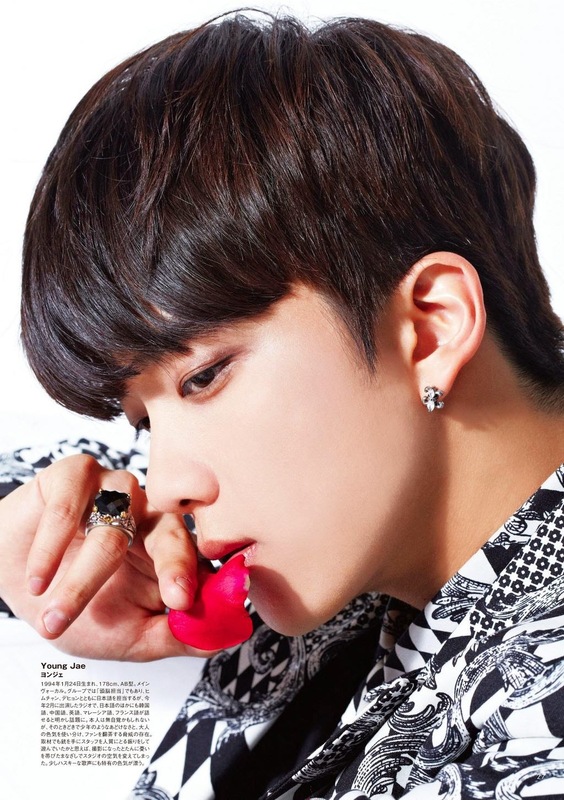 JU: Recently I feel like we’ve been able to do our activities in Japan with more ease and comfort. Since we were all tense with nervousness at the beginning (laughs). YG: Compared to when we first started promoting in Japan, we now have more people interested in us, I am truly thankful. HC: We didn’t have any big changes in our mental state, but I’ll be happy if we would continue our Japanese activities for a long time into the future. — If you were hold some event to celebrate your one year Japanese debut anniversary with your Japanese fans, what would it be like? HC: We’ve done gift-giving events in Japan, and many fansigns in Korea as well…… Something different would be nice right? I wonder what will make the fans happy? JU: I want to have a party with everyone! I want to eat delicious food with our fans and get all excited. YJ: A game tournament? I feel that they can become even closer to us by playing games. — Then if you were to celebrate the anniversary with just yourselves? HC: If the six of us are gathered, they’re usually for meetings (laughs). We’ve never had a party before, so cooking food ourselves and playing music that we like might be a fun way to celebrate. ZL: That’s what girls do often. HC: Don’t we already have pajama parties every night. Chatting in our pajamas, is it different to that? YG: For me it’s a food party! A party where you just keep on eating (laughs). I don’t eat much, but since the other members like to eat regardless, I think it’ll be fun. — Do you have parties for a member’s birthday? HC: Being together for so many years, we don’t really…..
YJ: Since the times when our schedules are busy, and when the member’s birthdays are often overlap, we haven’t taken time out before especially to celebrate. ZL: Yeah, we just prepare a cake to celebrate it simply. JU: It might be nice to have a party together once in a while. — You’re nearing 900 days since debuting in Korea, congratulations! Who was the member that changed the most during these 900 days? ZL: Youngjae hyung! His face has slimmed down after dieting, and compared to when we debuted, I think he’s changed quite a lot. JU: Zelo or Youngjae hyung. 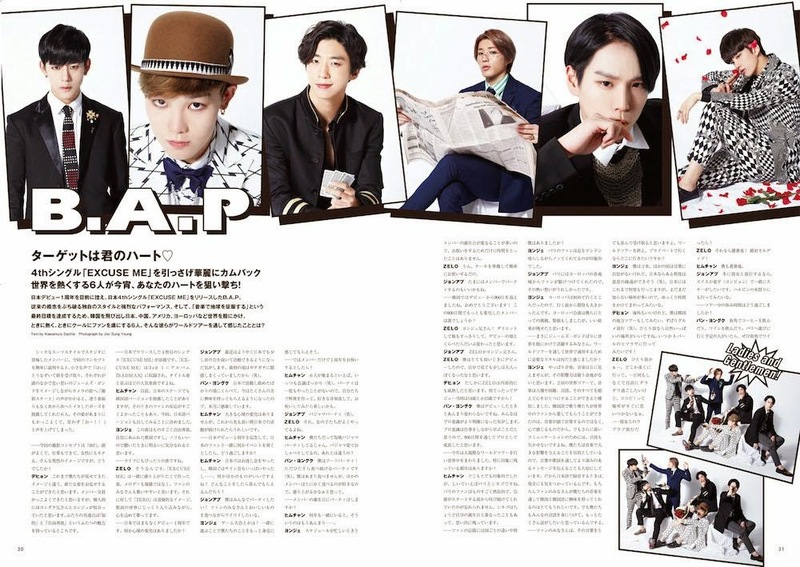 ZL: Since I debuted when I was really young, even I think that I’ve matured a little when I look at myself. 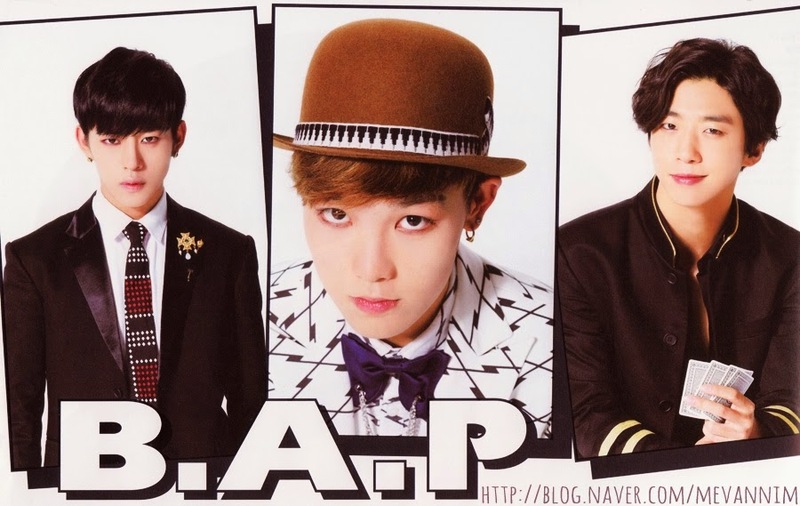 DH: It’s true that Zelo has matured on the inside as well. He very well did debut at the age of 14, 15 after all! YG: I haven’t changed much since debut. I feel that everyone’s professional-awareness has become more defined. I believe that professional-awareness is something you learn as you work, so I think that we’ve grown as professionals in these 900 days. — You held a huge scale world tour and went around the globe this year. Were there any memorable cities? HC: Everywhere was memorable, but if I had to choose, it’d be Paris and Chicago. The Parisian fans were very passionate and I cannot forget that they had already began cheering before the concert. The Chicago concert was held coincidently on my birthday so it stays in my memories. — Were there differences or anything characteristic about how fans supported you in each country? YJ: Parisian fans stomping their feet whilst moving with the song was memorable. JU: Paris was where European fans travelled to from various places, so I’m happy at that passion of theirs. YJ: We had big expectations before we even went, since it was our first time to go to Europe. We viewed the Europe concerts as a challenge. Although we were nervous, I think we were able to leave a good result. — That’s very James Bond-like, to travel all over the world for activities. Through the world tour, did you feel what skill was needed to communicate in the world? YJ: It’s music after all. Music cannot be seen by the eyes, but I think that there’s no doubt about its influence. At our second world tour, it confirmed that music overcomes race, nationality, language; all those things, to unite hearts as one. We, who sing in Korean, are able to receive love from fans all over the world because music is not something calculated in your heads, but felt by the heart. However for further communication, the language is also vital. Because we aim to influence with our music, it is important that we send an even deeper message through language and lyrics. So when we record in Japanese, we take care in our pronunciation. Of course, I’m happy that fans gain an interest in Korea and Korean through our music, but we too want to learn your language and talk a lot more with everyone. — I think the fans will appreciate that a lot. After the world tour, where would you like to go privately? YJ: For me it’s Japan. I don’t have much confidence in other languages, but I think I can communicate my thoughts to a certain degree if it’s Japan (laughs). We’ve been to Japan many times, but there are still many places I don’t know of, so I want spend my time leisurely going around. DH: Going overseas is good too, but I want to try a local tour in Korea. Frankly, a gourmet tour (laughs). If I’m alone, a place with lots of nature is nice. I want to visit the Himalayas in Nepal someday! ZL: A lone man trip huh~ I want to go somewhere far and spend a day lazing around and doing nothing, but I can’t think of anywhere that makes me think “[I should go] here!”. — What if it was a romantic holiday with your girlfriend? ZL: A summer resort for sure! It’s definitely the Maldives! HC: A summer resort for me as well. JU: If I travelled with my girlfriend in winter, I want to ski together in Switzerland or at Yongpyong [Ski Resort]. I’d like to go to the Harbin Ice Festival too. — How did you spend your free time during the tour? YG: Drinking coffee and wine on the street corner. If someone plans to go to Paris, I recommend drinking wine on the street corner (laughs). Compared to other countries, Paris’ building constructions are developed and there’s a culture of preserving the old. Rather than entering the building to experience it, I think that viewing the structure from the outside is fun. If I had the time, I would be looking at the buildings for forever. ZL: I too like to see how the people of that country spend their lives daily when I go overseas. Also, what’s memorable about Paris and America are the street performances. JU: For me it’s shopping! I bought shoes for me and my older brother. DH: We went shopping together as well didn’t we. — Who did the most shopping? HC: Me? Bags, shoes ….. ah~ Did I buy too much (laughs). Other than shopping, I would drink coffee at the hotel lobby coffee shop and watch people walking by. 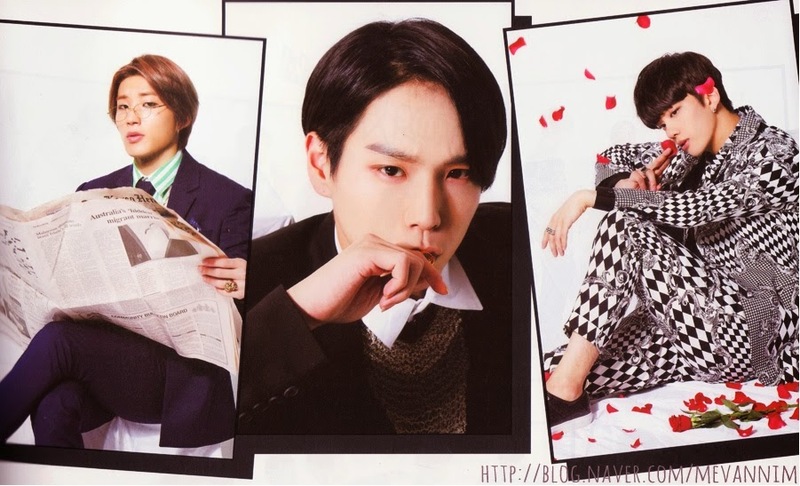 — Himchan-san is known for loving coffee. Do you have your own coffee philosophy? HC: It’s not so much a philosophy, but coffee relaxes me. When I’m enjoying coffee, I feel a sense of ease come to me. If I had the time, I want to try roasting coffee beans by myself. Daehyun, Jongup and Zelo don’t drink coffee, but I believe that they’ll at least take a sip if it’s brewed by me (laughs). — Which member has the most luggage when you go overseas? ZL: Yeah, definitely me (laughs). One time I brought two large suitcases with me, but since it took up a lot of space, I’ve surprisingly learnt to fit everything into one case. — What do you bring so much of with you? ZL: It’s mainly clothes. I bring all the items that I like, and then I coordinate on the day depending on my mood! DH: There are many clothes that you bring but don’t end up wearing right? ZL: You’d think so right? But I use every piece of clothing and item~ I too find it fascinating myself though (laughs). YG: I’m the type to select and only bring what I need. — Do you have anything that you always bring? JU: For me it’s toiletries. I bring the whole bottle of lotion and cream I use regularly. I’d bought local drugstore products before, but I’ve had the trauma of them causing trouble on my skin…. It’s heavy to carry, but for work, taking care of myself is important, so I bring the whole bottle. YJ: My MacBook and iPad. They’re heavy but they’re an essential and also help me kill time. DH: It’s not something that important, but plastic bags (laughs). I bring various sizes and use them to put in dirty clothes, and then also for the things I receive from fans. — You made fans happy by uploading footage on YouTube from the countries in your tour with “B.A.P Attack!”. 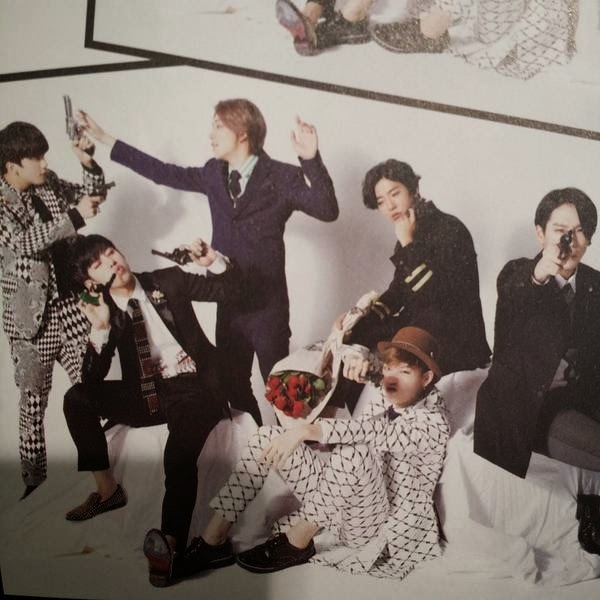 Daehyun-san was often the cameraman wasn’t he. — Do you have points for filming your members nicely? 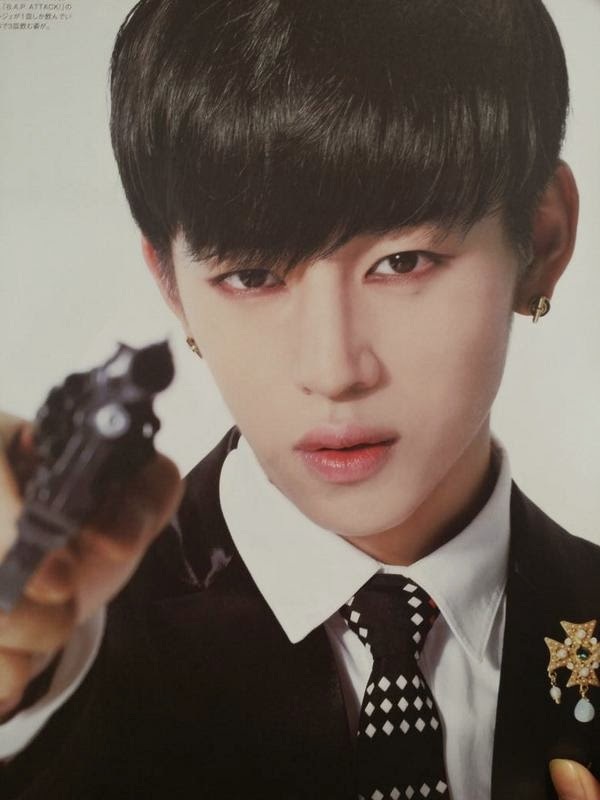 DH: I approach Youngjae and request him to do poses like this and that. On the reverse of that is Jongup. If I follow his movements, I can film interesting things. 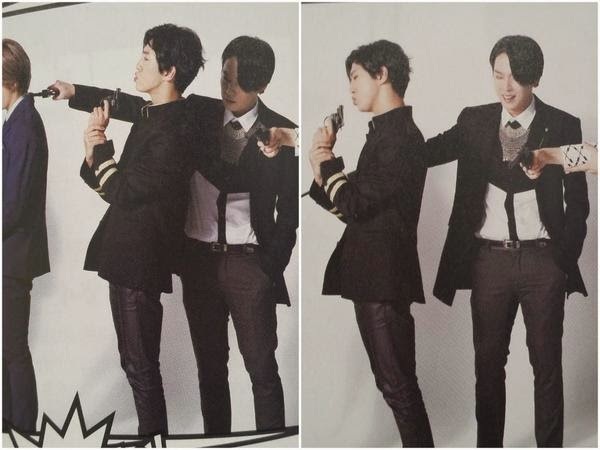 Filming Yongguk hyung secretly is our promise (laughs). I film Zelo so that it shows his purity and cuteness that suits his current age. — When you say overseas travelling, ‘airport fashion’ is something not to be missed. ZL: You need to be wearing something comfortable when you’re on a plane, but because our airport fashion is monitored, there’s a bit of pressure. To be honest, I took a bit of care for various parts. However, I don’t feel the gazes of others recently, so I wear whatever I want to. 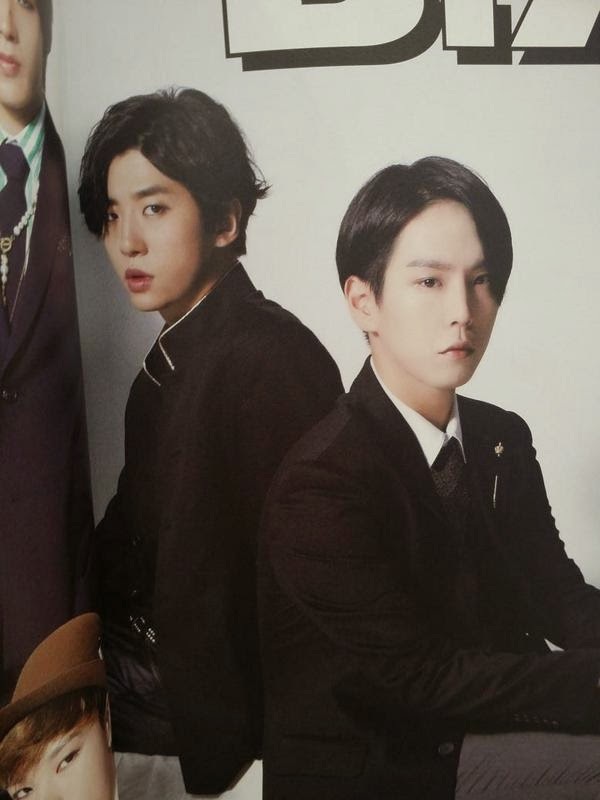 JU: Everyone takes care before they leave for the airport, but the one who does the most is Himchan hyung. Since there are many fans with cameras at the airport, it’s a bit nerve wracking. 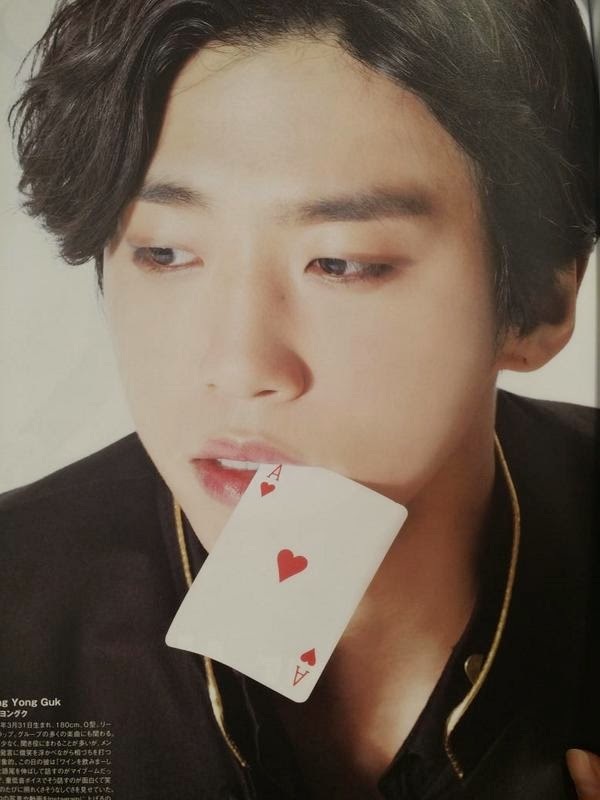 DH: I’m the type to roughly and quickly put on clothes, and then choose something to be the main point. For example, if it were white pants and a white shirt, I would add to it a vibrantly coloured item. JU: Oh~ is that so. I don’t really have a point like that (laughs). Personally, how do I say this? I like the time where I worry about what I should wear….. I think that period is important. Since the fans have come all the way to the airport and look forward to it, coordinating whilst keeping that in mind is something enjoyable. — I heard that you’ve changed your room allocation at the dorms? ZL: Since we moved, we did it to match the place. Our room allocations changed naturally. We didn’t purposely gather up to talk about who should be with who, I think we just thought about which room and roommate would be the most suitable. I like to be neat, so I thought that it’d be nice to use a room with the Daehyun hyung who’s good at cleaning. Thus, I followed Daehyun hyung into the room that he chose and asked to be roommates. Himchan hyung and Jongup hyung use the same room, and Yongguk hyung and Youngjae hyung each have a room to themselves. — In a previous interview (in RIVERIVER vol. 2), when Zelo’s sleep talking became a hot topic, he confessed that “actually, sometimes I would purposely sleep talk and enjoy the hyungs’ reactions” and shocked them (laughs). ZL: I don’t act anymore recently (laughs). Whether it’s because I’m aware of it, I don’t sleep talk nor be half asleep anymore! DH: I used to always wake up earlier, so I’d watched Zelo sleep talk, but recently I would sleep first and wake up later, so I’m sad that I can’t see him sleep talking~ (laughs). ZL: The hyungs say that my sleep talking and being half asleep is cute, but I’m already an adult so you can’t treat me like a child! I will work hard to not sleep talk! JU: Zelo thinking like that is cute in itself (laughs). ZL: Jongup hyung too, although he has a serious expression when he’s working, his face is really cute when he’s playing around (laughs). Also, hyung has a unique expression from when he sleeps till when he’s awake. He wakes up with a really bright face, so when I see that, I want to fool around with him as a dongsaeng, and pull pranks (laughs). JU: I do somewhat remember something being done to me…..
ZL: I go into hyung’s room and and forcefully wake him too to fool around with him! JU: Since we don’t use the same room now, shall I sleep with Zelo sometimes~ (laughs). — It’s been 900 days since your Korean debut and a year since your Japanese debut, I’ve heard that you attended 15-years your senior [debut-wise] g.o.d’s comeback concert. What was memorable when you watched their stage? HC: I was thoroughly moved from the beginning to the end of the concert! There was much to learn from the beautiful performance, and more than anything, I wanted us to continue together like this too when I watched them. — Did everyone go to the concert? ZL: Me, Himchan hyung and Youngjae hyung went. YJ: Although I learnt in regards to stage and performance, I felt the beauty of spending so long together and the importance of destiny. The venue was filled with countless fans who gave their passionate support, and I too enjoyed the performance in the standing area with everyone, but really, everyone had a blissful expression on~ I received energy from that sight. Also, thoughts like “although we always see our fans from the stage, I wonder how our fans view us” came to mind too. — A senior group’s concert really affect current group’s a lot don’t they. I look forward to your future activities. For your future Japanese activities, please tell us again of your resolve. ZL: Welcoming our one year anniversary, I want to continue working hard from now on! JU: I am always thankful to our fans. I’ll work my hardest to repay your expectations, so please look forward to it. YJ: Many people in Japan have expectations for us. I’ll work hard to stand before you with good songs and a good performance! DH: I think we’ll be visiting Japan frequently from now on. I’ll work hard to be able to show you a great side that doesn’t disappoint you. HC: Thank you very much for anticipating “Excuse Me”! I’ll show you a cool stage as we have done till now! Please look forward to it! YG: I would be happy if you looked forward to the continually-musically-evolving B.A.P. 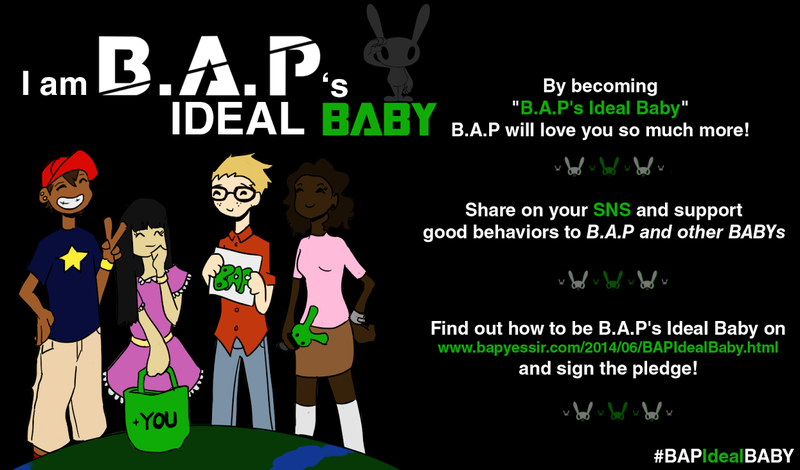 Thanks to @aigatto_BAP and @ko1034 for providing the text. OMGGGGGGGGGGGGGGGGGGGG BAP IS CONQUERING THE WORLD!! BAP FIGHTING AND THE SWEET SWEET VICTORY IS YOURS!